Can you present yourself ? Where do you live ? Are you related to Pikachu ? I live in London although i am originally from Devon in the UK. I’m not related to Pikachu, but my cousin IS Jiggleypuff. Was there any particular moment or event that motivated you to begin this “little people” project ? Not so much a specific moment, but i did start to become interested in the macro, hidden side of London. I found a stag beetle one evening and realised that i hadn’t seen one since i left Devon, which is a rural area. It got me thinking about the world under our feet and how, in a city, you rarely pay much attention to the ground as it is generally barren and covered with concrete, not full of interesting bugs and plants. A few weeks later, the ‘little people’ project just popped in to my head and i liked the idea of creating a hidden world of overlooked city dwellers. The little characters you use. Where do they come from ? Do you paint/custom them ? Most of the characters i use are originally created for train sets, many by a German company called Preiser. They generally come unpainted. Depending on the scene, i will cut up and repose the figures and model new clothing for them such as hoods and baggy jeans, then paint them. They then get super-glued to the street and left there. Some of your scenes seem to be from the 50/60s. Is it intentional ? The figures tend to have a 40s-50s vibe to them. I think this is because they are made for train sets and these often hark back to the ‘good old days’ of steam-powered trains. 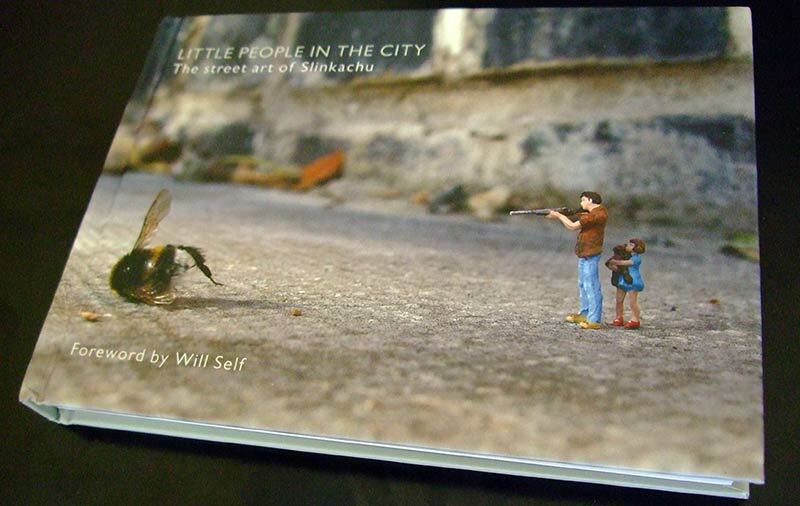 Your little people looks a bit lost & alone in a huge city. Do you have sometimes similar feelings as a Londoner ? This is something that i love bringing to my installations and shots – i like that meloncholy feeling. I think everyone who lives in a big city feels lost and alone at some point. 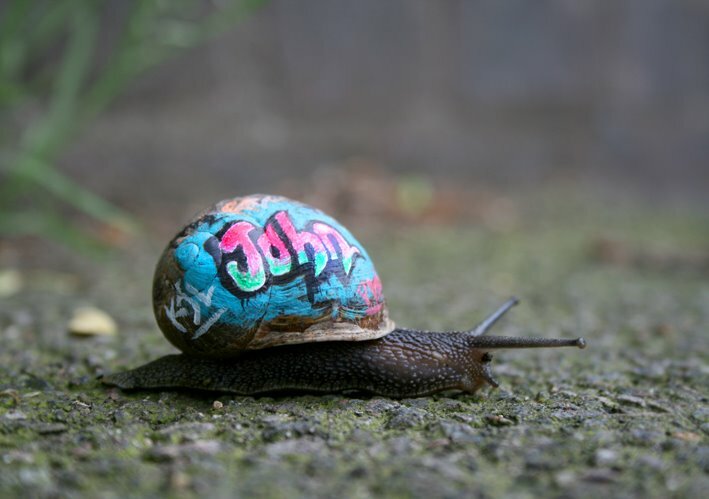 Do you feel close to the so-called “street-art” scene ? In some ways yes. I think the ‘scene’ encompasses a lot of different styles of art which is what makes it exciting, although perhaps the general public still just think of graffiti as being street art. One of my favorite things about taking part in group shows has been to get to meet a wide variety of talented artists who in one way or another work on the street. I think because my work also involves photography it also stands apart a bit from ‘street art’ (In a way that work by someone like JR doesn’t as his photography actually gets displayed outside). It doesn’t feel wrong for me to put my shots in a gallery for instance, although i do prefer the part of my work that involves doing stuff outside. 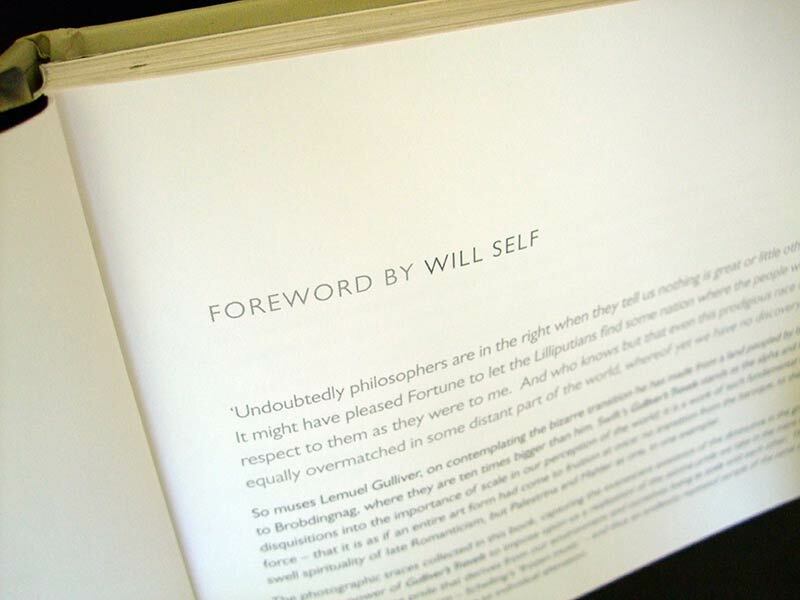 How did you manage to have a foreword by Will Self ? We just asked him and he said yes. He is very interested in scale and, of course, is also a Londoner so we hoped that he would be interested, and he was. I used to love lego. I was very much one of those children who prefered making things in his bedroom to playing football outside. I was always builing things from cardboard boxes and toilet rolls. Any plans for the future that you want to tell us about? 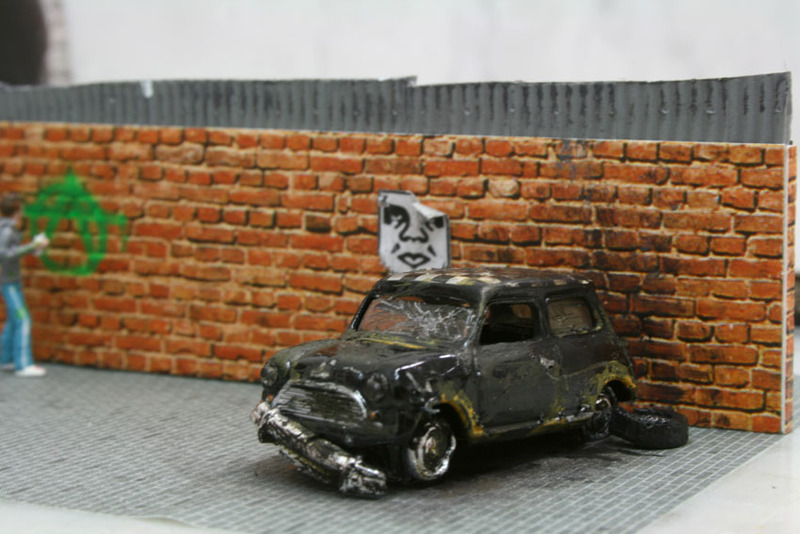 I am working on different series of installations and shots that move the project forward a bit – they involve a lot more customisation of the figures. 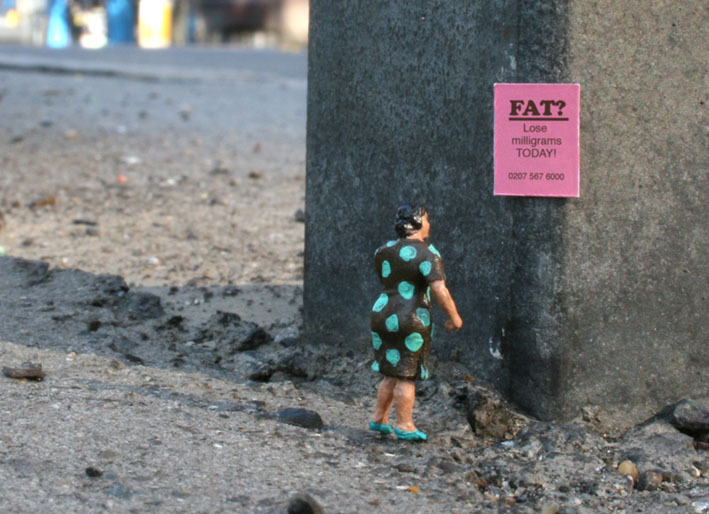 I also want to do some street-based projcts that don’t use little people but still keep that human element to them and explore how we live in cities and the types of people that live around us. And now it is autumn and wet again i want to hunt down more snails to mess around with. I have kinda fallen in love with snails a bit. They are pretty cute when you get to know them! 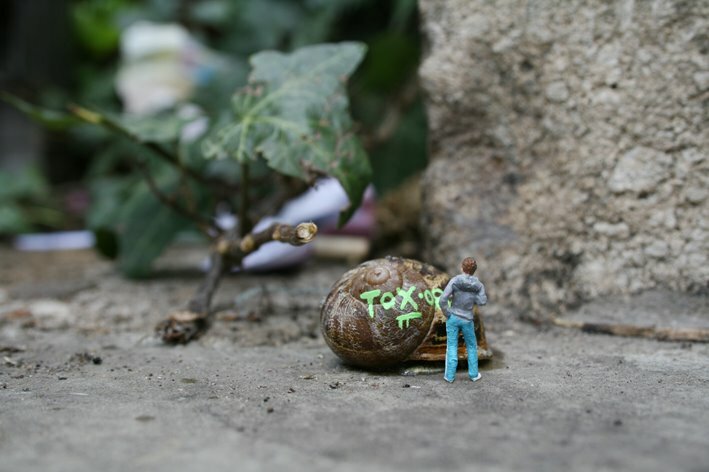 This entry was posted in interview and tagged little people, slinkachu. Bookmark the permalink. JAjajajaj!!! I love his work it’s amazing it’s a brilliant project!!! Thank You !!! I really love that there is a picture of my hometown right there. 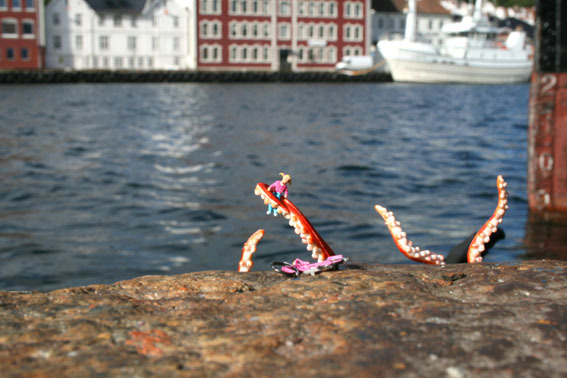 Stavanger.